The National Post caught up with Alice on the eve of her release to find out more. Well what I love about music is that It’s not just a way to convey who you are to other people but also to understand others. Like any art form, music is a way that you can express what you feel without actually having to say it. I love that how in two minutes of a piano piece you can feel more and understand someone more than if you’ve just had an hours conversation. When was the moment you discovered that you had a talent for making music and you wanted to share with the world? So I started playing the piano at first and thought it was so cool that you can make a beautiful sound by pressing on a few keys. I had lessons but wasn’t actually very good at being taught, I just wanted to go in and do my own thing so eventually me and my teacher would just jam together as opposed to working on pieces (probably why I’m only half decent at piano after about 5 years of lessons!!). Then when I picked up guitar, I would play around with peoples songs and try to put them in a different style to make it sound completely different until I thought I may as well try to write something myself! You are signed to Invincible Records and you signed a management and record deal at age 19. How does it feel to be releasing your first single and being signed to the label? It’s wicked! I’ve always loved writing whatever type of stuff, stories, songs poems and I’m so excited that I’ve been given the chance to be able to share what I write with other people. I think music is all about trying to relate what you are sometimes a bit scared to actually say out loud and even if it only relates to a few people I love that I have the chance to be able to share what I’ve spent time on. With being signed to a label, I love the people that I work with and that we work together as a team, so it’s not someone telling you how to be but you all work together. It’s always so much better to work with other people, in general, but especially with something like music because you may have a specific idea however because you’re not just writing for yourself but for other people, it’s really important to get a full picture of what people think as opposed to working on your own. What is ‘Wasting Time’ about? Wasting Time is about how we as a society spend too much time on our phones and ignore what is actually going on around us. We all worry too much about what other people are doing, how others look and how they view us through our own social media platforms. I think that there’s been a massive rise in mental health issues because we see all of these people looking perfect and having so much fun, even though really everyone has their own crap going on but when something does go wrong we don’t put it all over the internet for other people to see. It fully hit me when I was trying to read this really cool book and got about 2 pages in until I started looking at my phone again at pointless things that I didn’t really care about but was easier to focus on than something that required brain power. I don’t actually think social media is all bad, I think it’s a great way for people to stay in touch and to spread the word about really interesting things that you wouldn’t otherwise hear about, however I think that focusing too much on what other people doing and what they think about you can blindside us from what’s genuinely interesting and important. Your music video was co-directed by you . What was the concept behind the video? So the general layout of the video is that it’s a girl birthday party that her friends have come to so they can celebrate with her and all catch up but it ends up that everyone is too busy posting how much fun they’re having online to show others that they don’t really pay much attention to what’s really going on around them and end up ignoring the birthday girl and not really speaking to one another because they’re too busy trying to show people who they’re not actually with what they are up to. Did social media kill real conversation? Yes and no. In one respect social media is a great way to stay in contact with people you haven’t seen in a while and to stay in touch with what’s going on in people’s lives. However it’s strange that when you see someone that you haven’t seen in about 5 months and you know both know everything that has been going on their lives since you saw them last so you don’t even have to explain to them. However I don’t think that it does actually kill real conversation, despite always being connected and knowing what is happening with other people, we are still people at the end of the day and still always need to be speaking to others properly, face to face and can appreciate that this is what we need. If you had a choice what music era would you go back to? Ah there are so many to choose from!! I would probably have to go with the classic answer of the 60’s and 70’s. The 60’s was the time where music was changing so much, so you still had all the amazing jazz and RnB artists such as Louis Armstrong, Nina Simone, Sam Cooke around but also due to the massive social changes that were happening in that time you saw a huge change in music and the ways that people expressed themselves. You saw The Beatles , The Stones, Led Zeplin and so many other incredible musicians come to life that you kind of had it all. Do you believe there will come a time where people will revert back to traditional forms of communication? It’s quite interesting actually because recently there’s been a lot in the news about how social media is affecting our society and quite a few of my friends/ people I know have been using social media / online ways of communicating a lot less. I think that a lot of people are starting to realise that it’s actually not that great being connected the whole time and its good to just be able to chill on your own without having to worry about who you need to call and text the whole time! However that being said, I don’t think that there will ever be a time when we aren’t always connected, I think after seeing what can be done and the way that our society runs on that today its too far gone to jump back. Who are your top 5 best artists of all time? Tricky question as always depends what kinda mood I’m in but the 5 artists that can sort you out whatever you’re feeling are probably The Strokes, Neil Young, gotta throw some jazz in there so probably Louis Armstrong with Ella Fitzgerald, for something fairly calm I love The Caretaker (James Kirby) (a more recent favourite) has some really lovely music, and then for some upbeat sunny vibes probably Eddy Grant/ The Equals. Top 5 books you will recommend? I’ve just finished a passage to India which is a really interesting book, very well written with some lovely quotes in it. That’s the first, and then a book called Dirt Music by Tim Winton, Proof of Heaven by Eben Alexander which was amazing and really changed my perspective on life. The forth would probably be a classic like Jane Eyre, always important to get a love story in there! For the fifth I would probably go for a book called ‘pre-history, the history of the human mind’ , seriously interesting all about the development of humans from where we began and good to know a little about why we are the way we are! To be honest I literally have no idea! There are so many things I would like to try out and explore and my plan is to just take what comes. But at the moment in 5 years I would love to be somewhere in the world writing and performing music to all different types of people and working with all different types of people. I want to be doing my own style for quite a while with my music and see where that takes me but in a few years I’d love to be writing different styles of music with other people, team works makes dream work as they say! I also want to be working with charities but on a music level, I would love to be planning music events for charities and performing at them with others. That’s the main aim but may take longer than five years to achieve! What’s your advice for any young person reading who might want to pursue their dreams but are sometimes too afraid to take that leap of faith? Well I would have to go with the classic saying that it’s now or never! There’s no point doing something in life that you don’t really care about as if you don’t care about something then you’re never going to achieve all that you’re fully capable of. That’s not to say that everything is going to work out as you planned it to or in the way that you hoped, however if you keep putting things off then you are always going to find an excuse not to do something. It’s better to try and fail and learn from what has happened than to not take a risk at all. What do you think the world needs most of? Love!!! With love comes happiness and respect of others and that’s always going to be a good place to start. When is your single out? 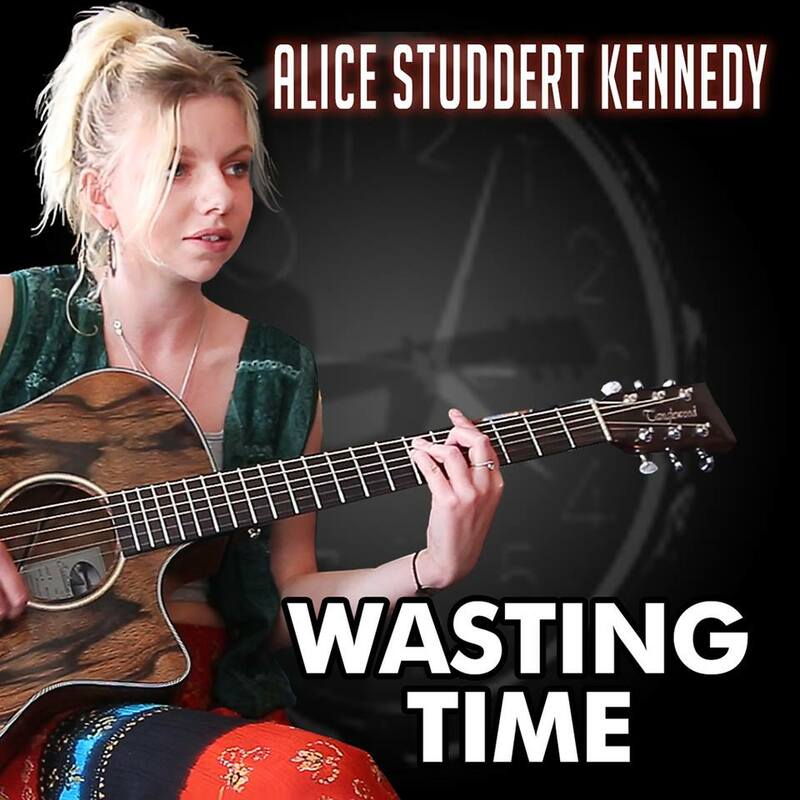 Wasting Time is out on the 23rd of July and will be released on Youtube, Spotify, Itunes , Apple music and Tidal.